As per GST Rules some of the items and services covered under RCM (Reverse Charge Mechanism). 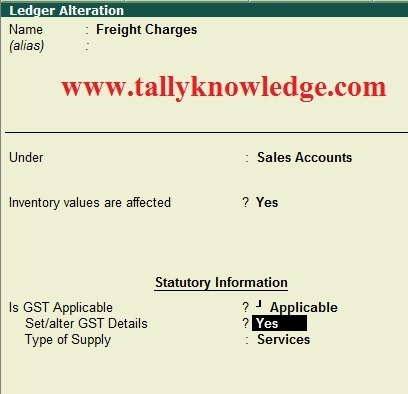 Like Freight Charges is taxable under Reverse Charge. In this case service / goods receiver is liable to pay tax under Section 9(4). 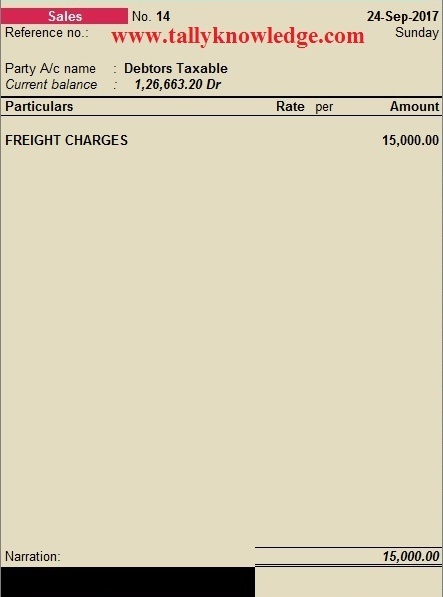 Party A raise freight charges invoice to Party B of Rs. 5000 on this GST will be chargeable @ 12% i.e. Rs. 600 tax liability is on service / goods receiver. 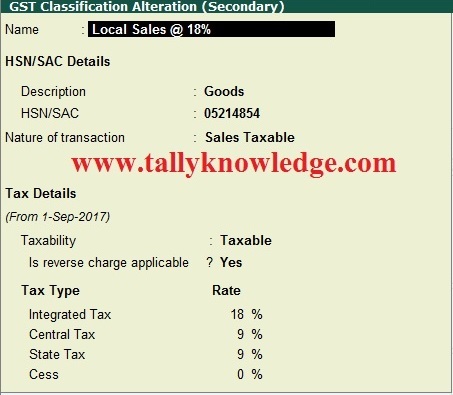 Create tax classification in GST Details, Specify HSN Code if required, Nature of Transaction if It is local then select Sales Taxable If Inter State then Select Inter State Taxable or you can left it blank to select manually at voucher level. Select Tax liability as taxable. Select Reverse Charge Applicable to yes (Note this feature is allow you to create reverse charge invoice in Tally so do not forget to mention this option to yes). Now select tax rate as applicable. Save the details and go to accounting voucher. This is a normal entry, Before saving press Alt + A to view tax details in the voucher. In Tax Category you can see there is a note appear at bottom "Amount of Tax Subject to Reverse Charge". 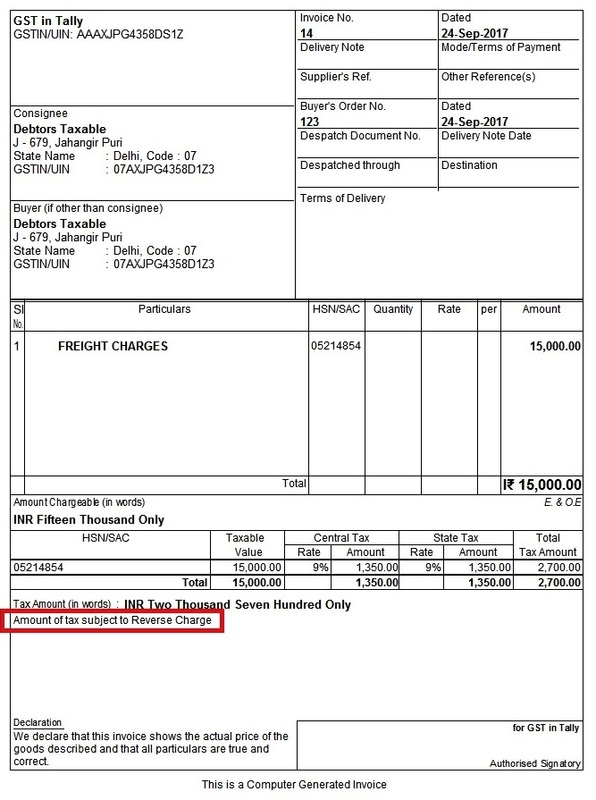 Now print the invoice and you can see the same note "Amount of Tax Subject to Reverse Charge" appear on invoice. It means this is a reverse charge invoice and tax liability is raised on service receiver. How to create RCM invoice in case of office rent? ?